P - Pay Yourself First. L - Learn and Change Your Mindset. It's never too late to condition your mind and thoughts. Early in our lives we had certain perspectives that shaped our perception and views about money. We can change the way we think about money. Many people believe that it is difficult to become financially free. Although the process is a journey the information that is readily available is endless. It's just your willingness to accept positive changes in order to reprogram your subconscious mind. N - Nothing Can Stop You! If it's in your mind to achieve financial success, your reason on "why" you started should motivate you enough to continue your journey. Perseverance, dedication and action is a great formula to push you towards success. Do away with excuses. Excuses do not help anyone progress in life. The formula for one's success is not perfect, it is a process of lows and highs, just start creating and stay consistent. Nothing can stop you! You have all the power. 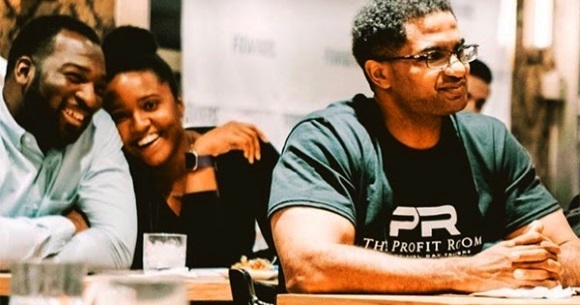 The Profit Room specializes in providing financial knowledge along with mentorship so anyone can navigate and make additional income in the financial markets effectively. Tax season is here and they are providing tax strategies that will benefit any income level. Do you have a legacy/ Retirement account? If not, they will show you where to start and how to create one. For more details and/or to get started, call (844) 339-9939 or visit: www.theprofitroom.com/workshop.